"I was sitting and reading this post (and the couple on alt.vampyres that appeared) and thinking "this can't be true," so I checked the on-line UPI newsfeed we have here. It is indeed true. River Phoenix died yesterday. I don't know what of. I think that's tragic. He was so young. Plus, and this will sound terribly selfish, he was one of the few characters in the movie I didn't think was horribly miscast. I wonder what this will mean for filming, since the movie started fimlimng [sic] already. Unless they did something funky and shot only scenes with Louis or Lestat or something, they will have to recast and reshoot the movie. I would imagine that this would, at the least, put off the release date," Susan Spaet of Amherst College, writing in this post on alt.books.anne-rice, on October 31, 1993, the very day of Phoenix's death. "The rumors that I have heard have all attributed River Pheonix's death to an overdose of cocaine or heroin. Not that such rumors are uncommon when an actor dies under any circumstances . . . ." - K. Esme of the University of South California, writing in this post on alt.books.anne-rice, on November 1, 1993. "Despite rumors of cocaine and/or valium overdose, the probable cause of River Phoenix's death is that he was dropped on his head outside the club. If dropped just so, humans will go into convulsions. If he'd been taking cocaine, that would have potentiated the convulsions, while the valium should have had anticonvulsant effects." - SG of Ohio State University, writing in this post on alt.books.anne-rice, on November 4, 1993. "The cause of death could have been drugs, but I really dislike it when it is automatically assumed that the cause of a person's death is due to drugs. It feels to me to be a gross value judgement on a person who is no longer capable of defending his/herself," - Melissa Woo of the University of Illinois at Urbana-Champaign, writing in this post on alt.books.anne-rice, on November 4, 1993. "So what if River Phoenix died? People die every day from drug use, I don't see anyone bitching about that! I think River was a great actor and it's a shame that he had to die, but IT HAPPENS, to a lot of people, EVERY DAY. What if River Phoenix wasn't famous, would you be bitching then? I don`t think so. Let him rest. These things happen." - MisFiT of Purdue University, writing in this post in rec.arts.movies, on November 6, 1993. "I have been reading this thread for several hours now and I am appalled by the absolute lack of respect (or should that be the blatant disrespect) shown by many of the more educated contributors. Sure, there are many social issues related to River Phoenix's death, but surely these can be discussed in a mature and reasonable manner by people following up these threads. River Phoenix may have died from a drug overdose. He may have died from natural causes. I myself do not know - and we probably will never know. The American Media Juggernaut marches on expousing [sic] the 'truth' irregardless. 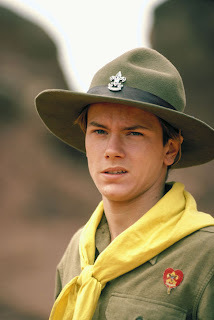 I may be a dumbass Australian with no opinion to speak of, but I certainly will miss the talent of River Phoenix. If he died of a drug overdose, it was his - and *his* decision alone to take said drugs. Millions of people die each year of drug related complications. It takes the death of one person to bring the immense drug problem to the forefront of discussion," Colin Neeson of the Queensland Department of Primary Industries, writing in this post on rec.arts.movies, November 7, 1993. The Internet has come a long way?